in training the best mariners for the global market. Aboa Mare has a 200 year long history. The Academy has functioned under several names and in several locations. During the first two decades, 1813-1833, the number of graduates was usually 2-10 yearly. In 2013, altogether 27 master mariners graduated from Aboa Mare. Do you want to learn more about the history of Aboa Mare? Please continue reading about the 200 years of colourful history and splendid traditions, which make the Aboa Mare of today. Where did the story begin? The Senate of the autonomous grand duchy of Finland suggested in 1812 to the tsar of Russia that maritime schools should be established in Turku, Helsinki and Vaasa. The tsar complied with this request, and in 1813 the school in Turku started to educate mariners. 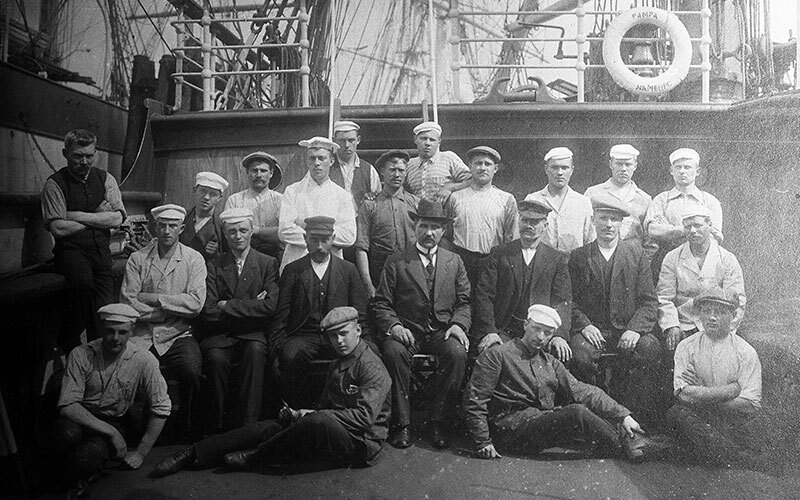 The primary task of the maritime school was to educate merchant fleet officers capable of replacing the captain of the ship in case of emergency. Between the years 1813 and 1818 the school operated in the address Stora Tavastgatan 25. During the first five years the number of students was under ten. The school was divided into officer’s and captain’s sections. Entrance requirements to the school were knowledge of the Swedish language and satisfactory skills in reading, writing and arithmetic. Sea practice was not required until 1851. 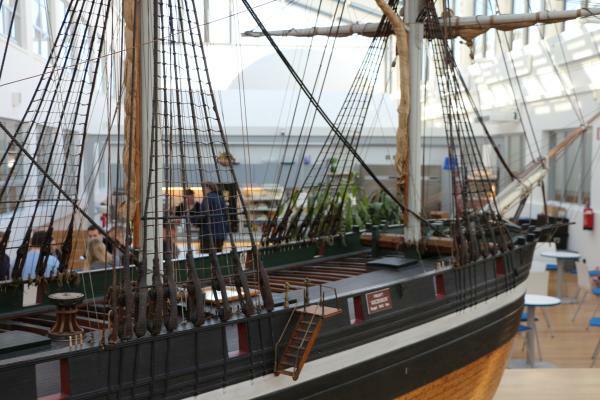 The subjects studied in the school were navigation, rigging and shipbuilding. From the year 1839 onwards also drawing, English and German were included in the curriculum; in 1851 Swedish was added to it, in 1857 geography and business correspondence, in 1974 health education and in 1900 applied mechanics. In 1818 the school moved to the Wallenstrom house situated on a street called Hampspinnaregatan, and in the 1830’s the school became the central unit of maritime education in Finland because it was the largest school and better administered than the other schools. In 1836 the school moved to the Observatory building on Vartiovuori. It operated there 131 years, up to year 1967 when the school moved to the address Malminkatu 5. In 2013 the school moved to the new premises in Auriga Business Center. 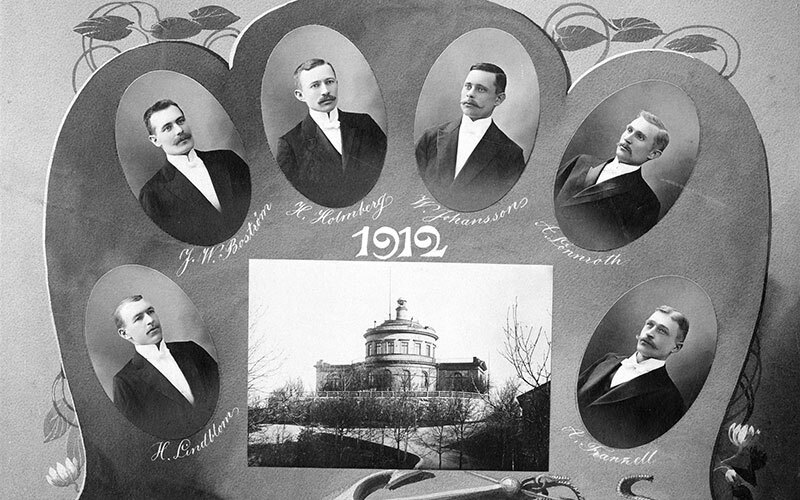 In 1918 the school got a new name, Navigatonsinstitutet vid Åbo svenska sjöfartsläroanstalt (Maritime Institute of Åbo Swedish Maritime School) according to a new statute regulating maritime colleges. In addition to Officers and Sea Captains, the school also started educating Diploma Sea Captains. A Diploma Sea Captain had a formal proficiency for all posts within the maritime industry and especially for teaching positions in maritime schools. A basic programme for seamen was established in 1983. The seamen’s school functioned up till 1998. The education of officers and master mariners was privatised under the period of 1996-1999 and it moved organizationally under Yrkesinstitutet och Yrkeshögskolan Sydväst (Vocational Institute and University of Applied Sciences Sydväst). Under the period 1997-1998 secondary level education belonged under the Institution for Fishery and Maritime Education. 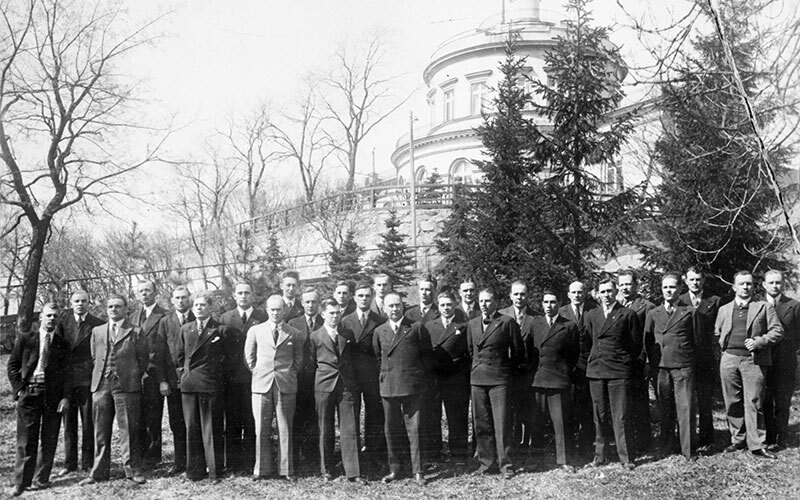 In 2004 also Watchkeeping Engineer training started at the vocational institute, and in the autumn 2006 the first Marine Engineer students started their studies at the university of applied sciences. 1 August 2008 Sydväst Vocational Institute became a port of the newly established school Axxell. At the same time Sydväst University of Applied Sciences became a part of Novia University of Applied Sciences and the name was changed from Sydväst Maritime to Aboa Mare. 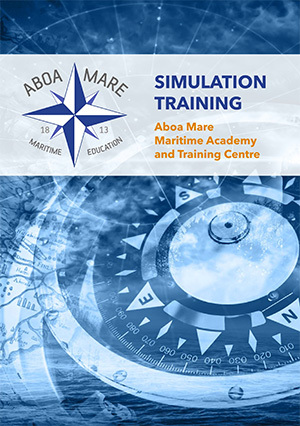 In 2010 the simulation center in Otaniemi, Espoo became part of Aboa Mare which meant that we could offer our customers simulation training in both Turku and Espoo. In 2010 there also became a possibility to study in English at Aboa Mare, when Maritime Management, Master Mariner education in English started. The subsequent headmasters are all sea captains and they have received their education in the maritime school of Turku. 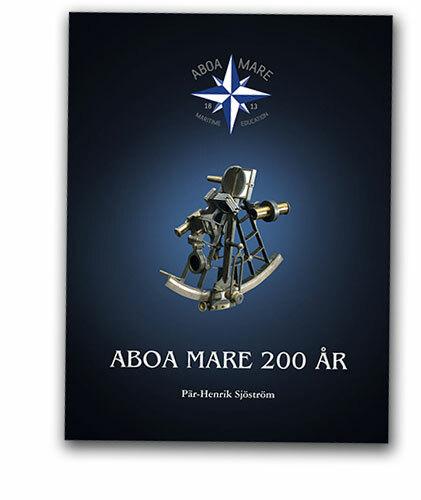 The chronicle, titled “Aboa Mare 200 år”, is a documentation of Finland’s oldest vocational training, master training in Turku. The chronicle, consisting of some 500 pages, presents many significant people such as teachers, students and principals from the entire period of the academy’s operation. The reader is given an indication of how the maritime sector and training have been developed during the various phases of the academy. The book also showcases the buildings where training has been held during these two hundred years, e.g. the observatory on Vartiovuori hill in Turku, where the maritime school operated for over 130 years. The book was funded by Stiftelsen för Åbo Akademi and it was written by maritime journalist and editor of Sjöfartstidningen magazine, Pär-Henrik Sjöström. The book was published on 12.1.2018, and it is written in Swedish. The English edition will come out during 2018. For students the price is 35 EUR and for others 50 EUR.